You might have some art history under your belt. Now experimental artists are giving the machines a chance to do the same. 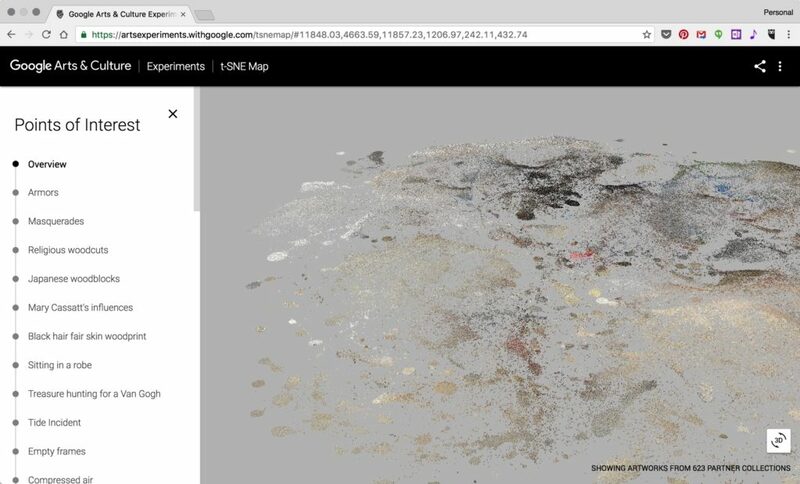 It’s called Google Arts & Culture Experiments, and it takes a new angle on machine learning. The concept: let those algorithms find new ways of venturing through the history of art and human culture. This isn’t just about the machines, either. Continuing the Chrome Experiments series, the search giant is enlisting artists and creative coders to try an inventive take on what this might mean. After all, while the machine learning may be for the AI, it’s the humans who decide how to apply it. And if the Renaissance had perspective and paint innovations and the de Medici family as patrons, now we’ve got algorithms as medium and Google as the patron. There are some names followers of creative coding will immediately recognize, too. You get Mario Klingemann (Quasimondo, of Germany), seeing how machine learning might interpolate between artworks from different eras and continents. Cyril Diagne turns oceans of thumbnails into flurries and mountains of images. The twist is, these aren’t just random arrays of images. True to Google’s trade, big data is transformed into patterns. Watching those algorithms try to “see” these images can feel a bit like watching a child first learn to draw – in a fascinating way. I find it especially appealing, having watched the Metropolitan Museum of Art’s efforts to digitize its holdings in New York City. Art history curation involves nothing if not data. And if lately the reflections on big data have been mostly bleak – laments about fake news and echo chambers – here we can return to more uplifting applications. This is a chance to see in a new way, not reinforce old ways of imagining.